Having spent a big part of the season on the sidelines due to a broken hand, Oliver Zaugg is back in competition. This week he is is expected to be the key domestique for Roman Kreuziger in the mountains of the Tour de Suisse and the former Il Lombardia winner feels ready for the challenge. After his injury following a crash in February during Dubai Tour, Oliver Zaugg is steadily regaining his race shape. 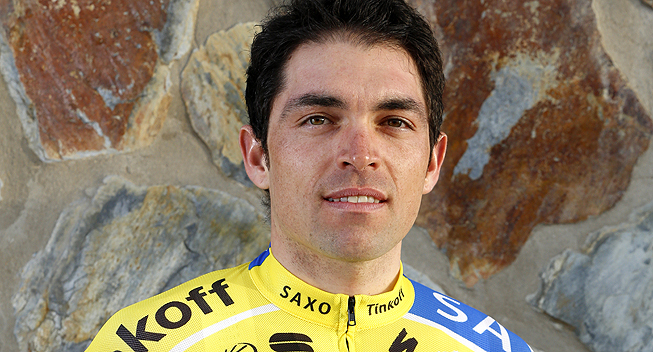 The former Swiss winner of Giro di Lombardia is currently a part of the Tinkoff-Saxo squad at Tour de Suisse. So far, the terrain has been fairly level with hectic stages and high speed but the riders are getting closer to the decisive mountain stages. “I’m happy with my current shape. Of course, it was a set-back to be out for several months with my broken hand, but the atmosphere on the team is good, I’m improving a lot and I’ve felt stronger and more experienced this year”, says the light climber. Oliver Zaugg rocketed to victory on the steep climbs of Il Lombardia in 2011 and showed his talent as a grimpeur. He agrees that his abilities will be the most obvious during the final days of climbing in Tour of Suisse as a strong support for team captain Roman Kreuziger. “So far we’ve had pretty flat stages with hectic finals. On Saturday we’ll be riding into my terrain. The stage to Verbier will be crucial for the team and for Roman. If he pulls of a fast time trial Friday, he’ll have a good chance of competing for the overall win in the mountains Saturday and Sunday – and that’s when I need to be ready to do my best”, explains Zaugg, who’s been with Tinkoff-Saxo since 2013. The 33-year old aims at improving his current form and finish of strongly in the second half of the season, where he believes that his experience will come in handy. “I want to improve and do well in the second part of 2014. Actually, despite the long break during the spring, I’ve had a good feeling throughout the year starting already at the training camp last year in November. I think my experience will make me able to capitalize on that and put it into great use on the climbs of this years summer and autumn races”, finishes Oliver Zaugg.